Tomatoes (Solanum lycopersicum) are valuable garden plants in that they require relatively little space for large production. 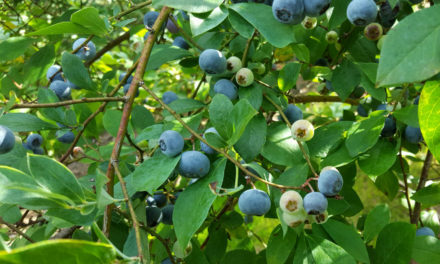 Each plant, properly cared for, yields 10 to 15 pounds or more of fruit. Tomatoes (Solanum lycopersicum) are popular vegetable garden plants. Tomatoes are warm-season plants that grow best at temperatures of 70 to 80 °F during the day and 60 to 70 °F during the night. Tomato plants may be started indoors from seed, or transplants may be purchased from a reputable garden center. If starting your own plants, use a light soil mix and give the plants plenty of light. Tall, spindly transplants are usually caused by low light levels in the home. Unless you have a sunny, south-facing window, supplemental light will be necessary. The seeds are sown six to eight weeks before the last frost date in your area. A week before transplanting time, harden-off indoor-grown plants by exposing them to an increasing number of hours outdoors each day and by reducing the frequency of watering (but don’t let them wilt). Place the plants initially in bright, indirect sunlight. The foliage of tomato plants that are hardened off will soon develop purplish veins. Choose a site where tomatoes, peppers, eggplants and potatoes have not been grown for at least three years, and avoid poorly drained sites. Vegetables should be transplanted into the garden during the evening hours or on overcast days to reduce wilting. When you are ready to put homegrown or purchased plants into the ground, select stocky transplants about 6 to 10 inches tall. Set tomato transplants in the ground, covering the stems so that only two or three sets of true leaves are exposed. If transplants become “leggy,” horizontal planting of tomato plants is an effective way to make plants stronger. Roots will form along the buried portion of the stem, giving better growth and less chance of plant injury from an excessively weak stem. Do not remove the containers if they are peat or paper pots, but open or tear off one side to allow roots to become free. If non-biodegradable containers are used, knock the plants out of the pots and loosen the roots somewhat. Press the soil firmly around the transplants so that a slight depression is formed for holding water. A soil test is always the best method for determining the fertilization needs of a crop. Information on soil testing is available in HGIC 1652, Soil Testing. The desired soil pH range for tomatoes is between 6.0 and 6.5, and is best if brought to 6.5. Garden soil should be limed based upon recommendations and applied during the fall or winter before spring planting to allow time for the limestone to dissolve. Most limestone purchased is pelletized dolomitic limestone, and in addition to making the soil less acid, it is the major source of calcium and magnesium the plants will need. Also based upon the soil test report, the correct amounts of nitrogen, phosphorus and potash (potassium) are applied to the garden soil and tilled in immediately prior to planting. Tomatoes are heavy feeders and may benefit from the use a starter solution for the transplants. Pour about 1 pint of starter solution (2 tablespoons of 5-10-10 fertilizer per gallon of water) around each plant when transplanted into the garden. If a soil test has not been conducted, the standard practice is to spread a complete fertilizer over the garden and till it in. The fertilizer type and rate are 30 lbs of 5-10-10 per 1,000 square feet of garden (or 3 lbs per 100 square feet, or 1 pound per 10 feet of row). Small amounts of granular fertilizer can be measured by volume. A pint container holds approximately a pound of most fertilizers. Organic gardeners may choose to use a complete organic pre-plant fertilizer, such as Miracle Gro Natural & Organic Holly Food (3-4-3), or Espoma Holly-Tone (3-4-3) or Espoma Garden-Tone (3-4-4). These would be applied at approximately 75 pounds per 1,000 square feet to supply the same amount of phosphorus and potash. With the use of a complete pre-plant fertilizer (the 5-10-10), there will typically be sufficient phosphorus and potash (potassium) applied for the growth of that crop. The nitrogen, however, will need to be reapplied monthly, and this is called side dress fertilization. For larger gardens, calcium nitrate fertilizer (15.5-0-0) is applied at 2 pounds per 100 feet of row monthly (or a measuring cup per 25 feet of row). Organic gardeners may choose to apply blood meal as the side dress nitrogen fertilizer. Blood meal typically has an analysis of 12-0-0, and it can be applied at 2-1/2 pounds per 100 feet of row. Gardeners should be aware that many forms of organic matter that are added to garden soils contain nutrients. This additional organic matter significantly improves the quality of both sandy and clay soils in many ways. However, their nutrient levels can be especially significant if a large amount is applied to the garden, or if raised beds are used that also do not contain real, mineral soil. Yard waste and kitchen scrap compost has a pH of around 7.0, and contains significant calcium, moderate potassium, and low phosphorus levels. Mushroom compost may have a very high (alkaline) pH, and contains large amounts of calcium. Peat moss and composted pine bark have few available nutrients and are acidic. Various manures contain phosphorus, potassium and often significant amounts of trace (minor) elements. Wood ashes are very alkaline and contain high amounts of calcium and potassium. If a large amount of organic matter (that contains nutrients) is used along with high amounts of fertilizer, soon the nutrient levels can become excessive and affect plant health. Periodically testing the soil for pH and nutrient levels is advisable. Tomato sucker growing between the main stem and the branch. If plants are to be staked or trellised, space them 24 inches apart in rows 3 feet apart. Although it requires more initial work, staking makes caring for tomatoes easier than letting plants sprawl. Since they are off the ground, fruit rots are reduced, spraying is easier and may be required less, and harvesting is much less work. Use wooden stakes 6 feet tall and 1 ½ or 2 inches wide. Drive them 1 foot into the soil about 4 to 6 inches from the plant soon after transplanting. Wrap heavy twine or strips of cloth around plant stems and attach to the stakes at every 10 inches of height. Prune staked tomatoes to one or two main stems. At the junction of each leaf and the first main stem a new shoot will develop. If plants are trained to two stems, remove all other shoots, called suckers, weekly to maintain these two main stems. Pinch shoots off with your fingers. Growing tomatoes in wire cages is a popular method among gardeners because of its simplicity. Cage-growing allows the tomato plant to grow in its natural manner but keeps the fruit and leaves off the ground. Using wire cages requires initial expenditure, but they will last many years. Be sure to get fencing with at least 6-inch spacing between the wires so that you can get your hand inside to harvest the tomatoes. Growing tomatoes in wire cages allows better air circulation and reduces the spread of disease. If tomato plants in wire cages are pruned at all, once is enough. Prune to three or four main stems. Wire-cage tomatoes develop a heavy foliage cover, reducing sunscald on fruits. Caged plants are less prone to the spread of disease from plant handling and do not have open wounds from de-suckering and tying them up frequently as with staked plants. However, it helps to space the plants somewhat further apart (at least 3 feet) to allow for good air circulation around and between plants. Humidity is higher because of the greater foliage density, and foliar fungal diseases spread rapidly in humid situations. The cultivars of tomato plants available may seem overwhelming, but they can be summed up by the type of plant growth and by fruit characteristics. Midget, patio or dwarf tomato cultivars have very compact vines and grow well in hanging baskets or other containers. The tomatoes produced may be, but are not necessarily, the cherry-type (1-inch diameter or less). Compact or determinate tomato plants grow to a certain size, set fruit and then decline. Most of the early-ripening tomato cultivars are determinate and will not produce tomatoes throughout a South Carolina summer. Indeterminate tomato plants continue to grow during the season, and fruit production is spread over a longer period. Most heirloom tomato cultivars have an indeterminate habit of growth. Super Sweet 100 have smaller fruits that are often used in salads. Cherry and grape tomatoes have small fruits often used in salads. Plants of cherry tomatoes range from dwarf (Tiny Tim) to 7-footers (Sweet 100). Beefsteak types are large-fruited. These are usually late to ripen. Paste tomatoes have small pear-shaped fruits with very meaty interiors and few seeds. They are a favorite for canning. Some tomato fruit are orange, yellow, purple (black), pink or white. Usually the only way to get these cultivars is by growing your own from seed. Winter storage tomatoes are set out later in the season than most tomatoes and fruits are harvested partially ripe. If properly stored, they will stay fresh for 12 weeks or more. While the flavor does not equal that of summer vine-ripened tomatoes, many people prefer them to grocery store tomatoes in winter. The following tomato cultivars are recommended for South Carolina gardens. Most cultivars are indeterminate, except for Celebrity and Small Fry. Always choose cultivars with disease resistance. Fusarium wilt is a common disease that can destroy an entire tomato crop. Many varieties are resistant to this disease. This is indicated by the letters F, FF or FFF after the cultivar name, for resistance to races 1, 2 and 3 of Fusarium wilt. VFN means the plants are resistant to Verticillium wilt, Fusarium wilt and root-knot nematodes; VFNT adds tobacco mosaic virus resistance to the list. Tomato spotted wilt virus resistance is indicated by TSWV. See HGIC 2217, Tomato Diseases for more information on tomato diseases and disease resistant cultivars. It takes 52 to 90 days to maturity depending on the tomato variety. 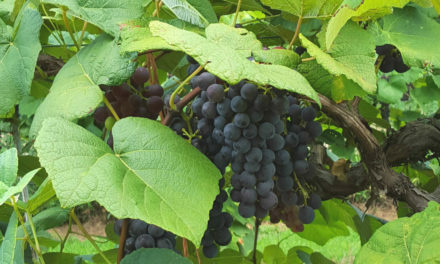 Pick fruit when it is fully vine-ripened but still firm; most varieties are dark red. Picked tomatoes should be placed in the shade. Light isn’t necessary for ripening immature tomatoes. Some green tomatoes may be picked before the first killing frost and stored in a cool (55 °F), moist (90-percent relative humidity) place. Do not store green tomatoes in the refrigerator since red color will not develop at less than 50 °F. Green tomatoes can be stored at 50 to 70 °F for one to three weeks. Ripe tomatoes should be stored at 45 to 50 °F for four to seven days. Ripen green fruits indoors at 70 °F. Blossom-end rot can be a serious problem with tomatoes. The main symptom is a dark-colored dry rot of the blossom ends of the fruit. It occurs when there are extremes in soil moisture, which cause calcium deficiency in the fruit. When rain or irrigation follows a dry spell, the roots cannot take up calcium fast enough to keep up with the rapid fruit growth. Blossom-end rot also occurs if the delicate feeder roots are damaged during transplanting or by deep cultivation near the plants. Test the soil and maintain a pH between 6 and 6.5 and an adequate calcium level by liming or applying gypsum. Mulch with 2 to 3 inches of materials such as grass clippings, pine straw and leaves. Mulching prevents rapid soil drying and allows roots to take up available calcium efficiently. Do not over-fertilize plants with nitrogen or potash. Excessive amounts of these nutrients depress the uptake of calcium. Keep moisture levels fairly uniform by regular watering and by maintaining a mulch layer around the base of the plants. Water plants during extended dry periods. Tomatoes need 1 to 1½ inches of water per week. Irrigation water will drain from raised beds more quickly. Add organic matter to the soil. This will help “loosen” clay soils and will improve the water-holding capacity of sandy soils. In either soil, organic matter will increase plant uptake of water and calcium. Examples of organic matter are peat moss, composted pine bark, leaf compost, manures, and mushroom compost. Leaf roll: This is a physiological condition caused by excess water. Growth cracks on tomato fruit. Growth cracks: Tomatoes crack when environmental conditions (drought followed by heavy rain or watering) encourage rapid growth during ripening of the fruit. Sunscald: This occurs when tomatoes are exposed to the direct rays of the sun during hot weather. Poor fruit set: This occurs for several reasons, such as extreme temperatures, dry soil, too much shade and excessive nitrogen. Tomato blossoms are very sensitive to temperature. At temperatures of 55 to 60 °F, pollination can be severely impaired and very few fruits will form. Temperatures of 90 to 95 °F are also very unfavorable for pollination. Catfacing: This is a disorder caused by cold, wet temperatures during fruit set. The fruit is extremely malformed and scarred. For more information, refer to HGIC 2217, Tomato Diseases, and HGIC 2218, Tomato Insect Pests.